Playtime is incredibly important to the development of a child. In total, there are seven areas of learning and development in the early years foundation stage, many of which are met through play. Communication and language, physical development, and personal, social and emotional development are the three prime areas of learning – often learnt through games. Our playground solutions help children to develop their imaginations as well as their cognitive and emotional strengths, helping them to start life on the right foot. Playtime using one of our play solutions can also help with more specific areas of learning such as literacy, mathematics, understanding of the world and expressive arts and design. Our Playscape engineers can help to create a play solution that complements all seven areas of learning and development. From numeracy markings to play panels – we can create a solution that’s both fun and educational. 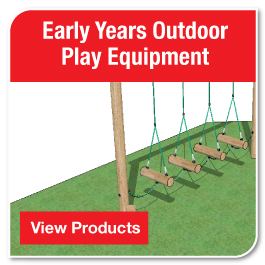 Playscape Engineering also offer a free playground design to every school or nursery with an outdoor area. Having received your free design you can be confident of the benefits our play solutions can bring to your pupils.